If you are taking this class, please enter Blackboard to submit your assignments, check your grades, and join the discussion. Learning by watching on-line videos (also called "asynchronous learning") has unique challenges. The lectures may move faster than your own pace, because you cannot stop the instructor and ask questions. Meanwhile, there are many advantages, for example, you can pause or review. Here are some suggestions to learn more effectively. Scan the slides before watching a video. Have the slides and code in front of you while watching the video. Keep the schedule. Do not procrastinate. The instructor is available in MSEE 190 software laboratory during the lecture hours, three times a week. Student can use the lecture hours for programming assignments, lab exercises, discussion, or asking questions. Additional office hours can be arranged by email. There are three lecture hours per week. Two are used for video instructions and one is used for lab exercises. The experiment conducted in 2007 indicated that this approach did not reduce the coverage of the course materials. If fact, due to the personalized help, students learned more and faster. The slides contain bookmarks. To show the bookmarks, in Adobe Reader, select "View", "Navigation Tabs", and "Bookmarks'. The slides are mostly screenshots of the videos. It is recommended that you read the slides before printing. Many slides are used to explain how to set up your programming environment. They are not needed once you have finished the setup. If you do want to print, please print 4 slides on the same page to save paper. The source code used in each lecture is available separately. You are encouraged to print and study the source code. There are practice questions at the end of each video clip. 11/17 - - - - Discussion "Education and Technology"
* All due dates are suggested deadlines. The flexibility is provided to accommodate your schedule (such as interviews or conferences) and unexpected situations (such as illness or accidents). The deadline for all assignments and lab exercises is 6PM December 5 Friday. A grace period of 6 hours is given to all students. You can submit and resubmit assignments or lab exercises during this grace period without any penalty. All assignments and lab exercises must be submitted before 11:59PM December 5. This is the absolute deadline. After 11:59PM December 5, 10% is taken every hour (round up) from your grade. Nothing will be accepted after 10AM December 6. Please remember that you are not allowed to request regrading if you submit a lab exercise or a programming assignment after the suggested deadline. A student can do each assignment alone or work with another (and only one) student that is also taking the class. A student can have different teammates for different assignments. If two students work together, both students have to submit the assignment. Outcome 1 can be passed by assignment 1 or 3. Outcome 2 can be passed by assignment 2 or 4. Every student must submit the lab exercises independently. Collaboration is not allowed. 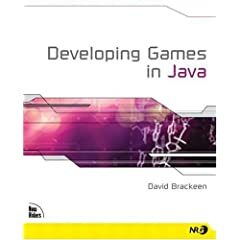 2008/09/03, (Java) Netbeans programming interface, version control, drawing and handling events. slides, video (14:02), code. 2008/09/10, (Java) Tracking mouse movement and bouncing ball. slides, video (8:59), code. 2008/09/17, (C++) Qt graphical user interface: drawing and handling events. slides, video (15:57), code. 2008/10/01, (Java) Unified Modeling Language using Netbeans. slides, video (1:24). 2008/10/08, (Java and C++) Container classes' performance. slides, video (7:38), code. 2008/10/15, (Java) Applet. applet, slides, video (5:34), code. 2008/10/29, (Java and C++) Multithread, convert C++ to Java. lab07.cpp. 2008/11/05, (Java and C++) Multithread, convert Java to C++. lab08.java. 2008/11/12, (Java and C++) Networking. slides, video (10:20), code. 2008/11/19, (Java or C++) Profile and Coverage. All exams are open-book and open-note. Please bring your Purdue ID. No electronic device (including calculators) is allowed. Exams from 2007. Purdue ECE Rhea Project: multidimensional, multimedia, self-adaptive, collective learning tool. These readings are optional. They will not appear in any exam. You can download the PDF files from any Purdue computer. The lectures, assignments, and lab exercises will be recorded in separate videos. On-line homework will be eliminated. The questions will be embedded in the lectures as self tests. The lab exercises will be more closely integrated with the programming assignments. Bacause of the postive responses from the students in Fall 2007, ECE 462 will continue the format using on-line lectures. The instructor will be available in the laboratory working with students during the lecture hours. All programming assignments will be developing computer games. These are some comments from students' evaluations after taking ECE 462 in Fall 2008. "The game projects are incredibly refreshing..."
"This course was a definite benefit. I think that all CompE students should take it... The course's structure is great." "Great course and a must for anybody looking to go into software after they graduate." "Course is fantastic! I feel this is a really important course before entering the CompE working world." "He did a very good job teaching this course." "Professor Lu is great--very knowledgeable as well as approachable." "Professor Lu does a great job and is very helpful..."
"Very helpful, really wants to and does help students who seek it." "Professor Lu is very helpful and dedicated." "Great teacher, tries really hard to help students, very helpful." "The professor is very enthusiastic and extremely diligent in helping his students succeed. Very pleased. I got my education worth from this course."